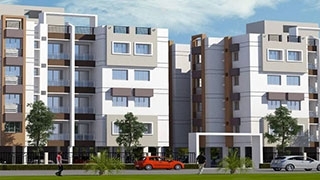 Akar Agali Estate 2 is one of the popular residential projects in Fatorda, Margao. Developed by Akar Realty, this project offers 2BHK and 3BHK apartments with basic amenities for the comfort of residents. It is close to market and many educational institutions. A rapidly developing suburb of the Margao town of Goa. This area is one of the most wanted and desired areas to live in. The popular Fatorda Stadium is also located in this area which can be used for almost all sports and cultural activities. Very well-known Madgaon Railway station is about 4km away, whereas the Dabolim Airport is 22km away from this area.